eBook PDF (291 pages, 17.76 MB), ePub, Kindle, etc. Showing Xbox owners how to increase the value and utility of their system, Hacking the Xbox features step-by-step tutorials on hardware modification that teach basic hacking techniques as well as essential reverse engineering skills. 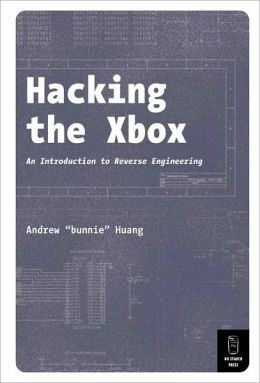 Full discussions of the Xbox security mechanisms and other advanced hacking topics are here, along with practical pointers from hacking gear resources to soldering techniques. The book also covers the social and political implications of hacking and profiles the humans behind the hacks in candid interviews. Andrew "bunnie" Huang has a Ph.D. in electrical engineering from MIT. He runs Xenatera LLC, a technology development and consulting firm specializing in the design and prototyping of electronic systems, as well as reverse engineering. The Home of "Hacking the Xbox"